Scanning the internet there seems to be a wide range of information about which cities are the world's most bicycle friendly. Many of them are opinion pieces and others use various criteria in making up the list. 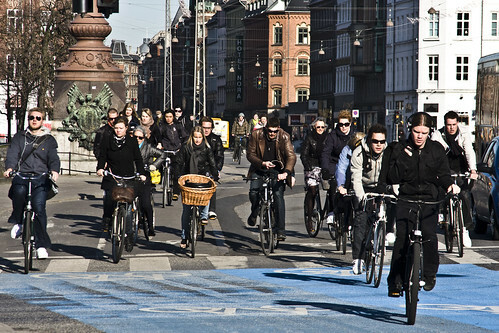 Here at Copenhagenize we figured we'd just look at the hard facts. How many trips are made by bicycle in various cities? If there are many people choosing the bicycle in a city then that would indicate that cycling infrastructure is in place, that the culture is bicycle-friendly, that there is a will to transform cities into more liveable places and that cycling is, or has been, promoted positively. We looked at the stats for OECD countries since these are traditionally cultures where the car is accessible to the citizens and is a main competitor to the bicycle. In the interest of brevity, we chose to feature cities with percentages that are in double-digits. There are large cities and small on the list, from Tokyo to Davis, USA. I may have forgotten some cities that deserve a place on this list. Feel free to let me know and I'll add them.